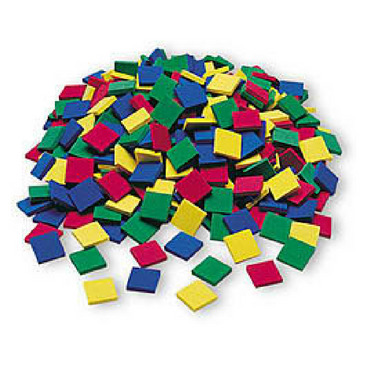 Quiet and lightweight, these 1/2 cm thick foam color tiles have a multitude of manipulative uses. Ideal for creating activities for students to take back to their seats in their spare time. Tiles are 1″ square and come in four assorted colors. Bucket of 400 foam tiles. Nontoxic.